Is Your Business Missing Out on the Benefits of Mobile Printing? It began with Google shifting its search algorithm to preference mobile-optimized websites, and has since set off a bit of a firestorm on the Web about the dominance of mobile technology. And while “mobile” may be the buzzword of the hour, there’s no denying that it is here to stay — especially in the workplace. According to a recent Strategy Analytics survey, mobile workers now comprise nearly a third of the U.S. workforce. That’s a lot of people doing work on their phones. And naturally, the rapid rise of mobile usage among employees has given rise to an opportunity — and demand — for on-the-go mobile printing services. 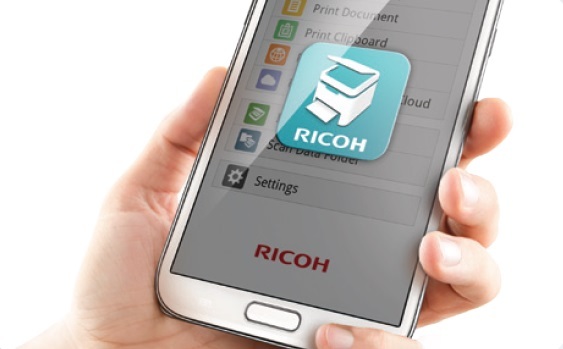 Mobile printing technology uses a cloud-based platform that lets anyone with an Internet connection and network access print from their mobile device. But there’s more to mobile printing than just being able to push “print” on a phone. As mobile printing tools become more sophisticated and user-friendly, larger enterprises in a number of industries are reaping the benefits of going mobile. If you have a large enterprise, odds are that some of your workers are scattered among offices in different cities,working remotely on business trips, or even working from home. But if having printed documents is a part of your workflow, a standardized on-the-go printing policy can keep these disparate workers all on the same page. Whether they are working full-time or part-time, remotely or on-site, all of your employees can use the same convenient mobile printing platform. Working over Wi-Fi or mobile network, mobile printing apps can use GPS to quickly find the nearest qualified printer, whether that’s at an airport, hotel, or even another workplace. And this convenience and standardization provides a strong boost to an employee’s on-the-go productivity. Another benefit to having a standard mobile printing process in your office is that everyone (contractors, new hires, visiting clients, etc.) can easily print documents within your network without having to involve IT for setup. A single mobile printing standard creates a consistent process, making it easy for workers to quickly onboard and print from their own laptops, smartphones or tablets. And with the time saved, IT can tackle their growing list of network challenges. While we are on the subject of network security, perhaps the most important benefit of an IT-issued mobile printing platform is that your IT department can set a security standard. Rather than worrying about secure documents from within the network ending up in unauthorized printer trays, a unified enterprise mobile printing solution provides full control over which documents are shared and printed within the network. With options for encryption and specific user authentications, mobile printing is convenient and secure. Of course, when it comes to weighing the pros and cons of implementing new technology in your business, the cost benefit is a major determining factor. If you run a small business operation that is self-contained in a single office space, mobile printing might not yet be right for your business. On the other hand, if you have a lot of workers who regularly work outside of the office, mobile printing can increase worker productivity, reduce your IT burden and bolster your network security—ultimately saving both time and money. While a 100 percent paperless office may be the future of the workplace, much of today’s workforce still relies on the power of paper—and the business benefits that mobile printing provides to your information management strategy can extend across the enterprise. With the right mobile printing tools, your information can be as mobile as your employees already are.